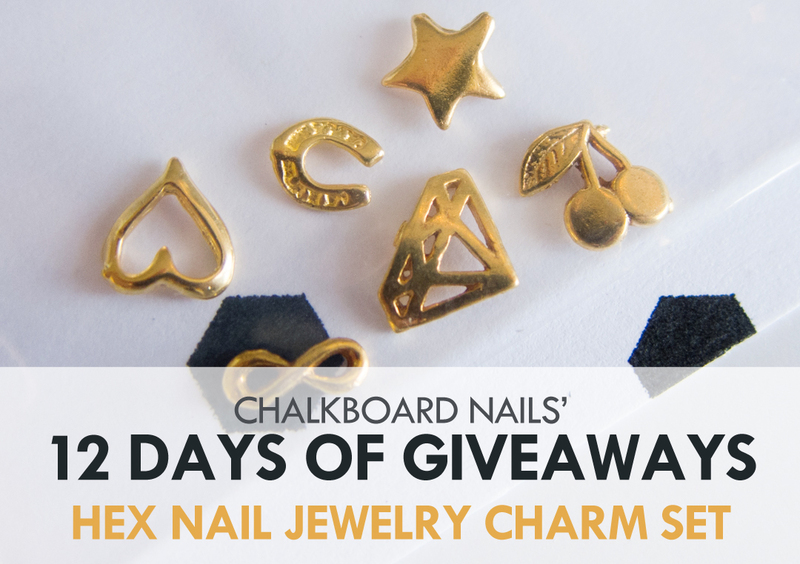 You guys know that I love my Hex Nail Jewelry charms, so of course I couldn't do a lineup of giveaways without asking the Hexy ladies to join in on the fun! 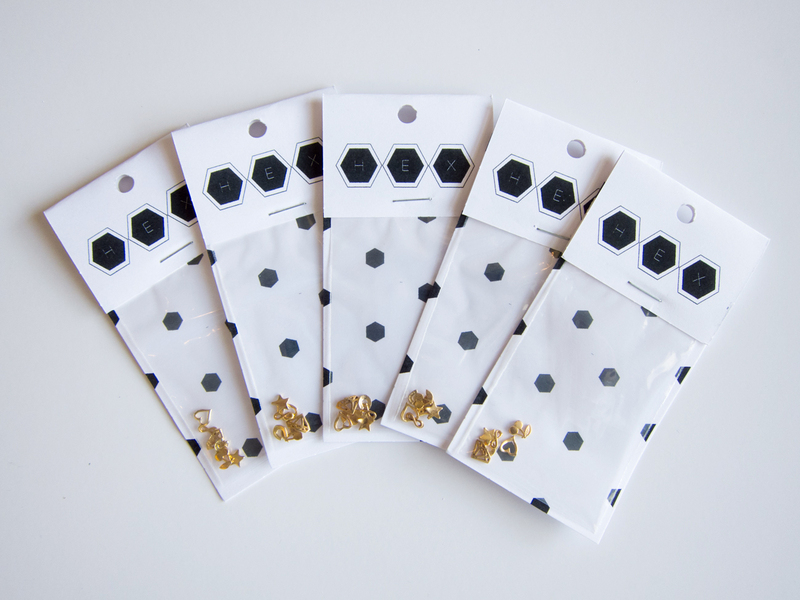 For today's giveaway, five lucky winners will get a starter set of their very own, including a heart, horseshoe, star, infinity sign, diamond, and cherries. Please enter using the Rafflecopter widget below. Must be a follower of Chalkboard Nails to win. Must be 18 years of age or older, or you must have your parent's permission to enter. This giveaway is open internationally, and closes on December 14, 2013. The winners will have 48 hours to claim their prizes, after which new winners will be chosen as necessary. Thanks for the chance to win such awesome prizes!! They are too cute!!! Thanks!! Good Luck everyone!! These look awesome! I have been wanting to try these out :). Thank you very much and all the best everyone! I have a few already, and I love them! Yay!!!! How can I claim?